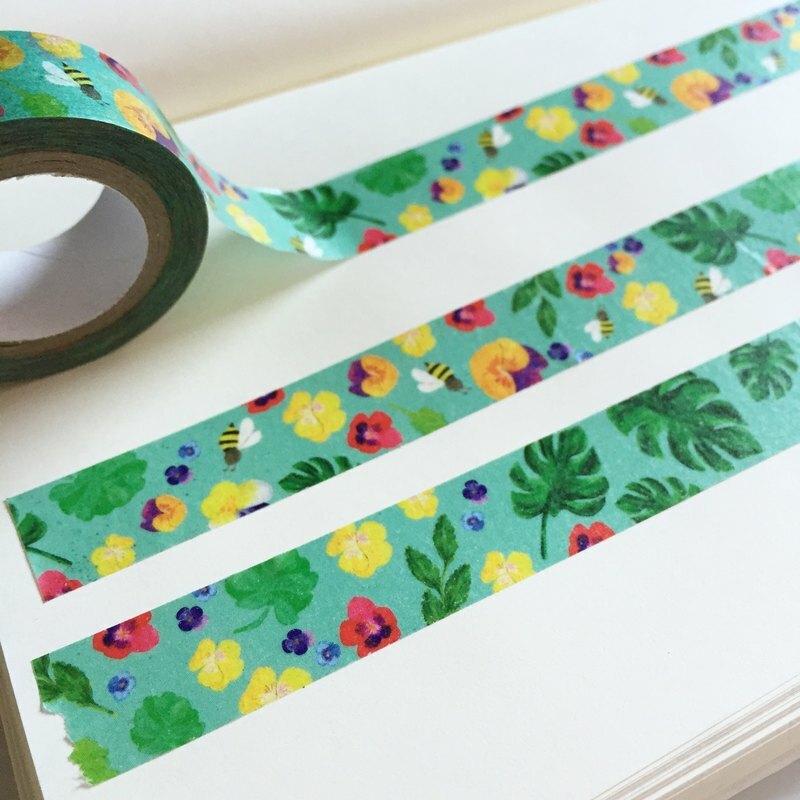 This Tropical flowers washi tape is great for making all your parcels look lovely! It features honey bees, tropical leaves and pansy flowers from my original watercolor painted collage designs. - Masking Tape - 15 mm Wide x 10 m Length SHIPPING: We ship it via Airmail from Taiwan, that usually takes 1-3 weeks delivery depending on your location and your local post office.